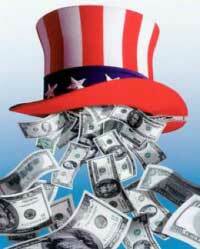 « Top 8 Tips for Spending Your Tax Refund Wisely ~ Make That Cash from Uncle Sam Go Far! 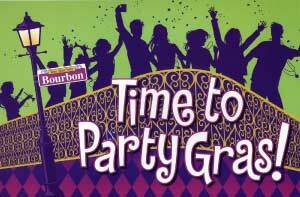 How to Have a Fat Tuesday Mardi Gras Party on an Ash Wednesday Budget! Mardi Gras celebrations are no longer limited to the Crescent City. You'll find beads, baubles and fine Cajun food everywhere from big-city civic centers to small-town backyards. Throw together some Second Line jazz, a few party hats, home-mixed Hurricanes and a crayfish boil and you've got your own celebration. You could lay out plenty for a prime-time Mardi Gras party, but there are always a few tips and tricks to help reduce costs. Check out the following seven ways to save while enjoying Fat Tuesday. You could spend a fortune on catering to get that Cajun flavor, but home cooking is the frugal way to go; plus, it provides an opportunity to learn more about this unique culture. Check out Real Cajun Recipes for easy and inexpensive ideas. You might assign different dishes to willing attendees to share the work and cost. Don't bother buying Hurricane glasses, Mardi Gras decorations and the like when you can borrow or rent them. If your gang likes to celebrate Fat Tuesday every year, each person involved might invest in the necessary items and loan them to that year's host. If you're throwing a big bash, consider renting dishes, glasses, etc., instead of buying. Dollar stores are the recession's go-to place for holiday decorations; so much so that many now offer items for such off-beat holidays as Mardi Gras. If you have children, you might tap into their youthful creativity and have them create masks and other favors. Use coupons to save on everything from food to costumes. If you're a smartphone addict, you might check out the Coupon Sherpa app, which allows you to access coupons while you're in the store. Paper invites are a thing of the past, particularly since free and instant evites make RSVPing a snap. You can also use Facebook for a fast and easy way to invite your friends. It's easy to let the guest list get out of hand when everyone seems to be looking for a party. If you want to keep the numbers small, avoid broadcast invites and stick to phoning or emailing. If you weren't able to contain the guest list and need to lay in extra supplies, shop wholesale stores like Costco or Sam's Club. If you don't have a membership, ask to borrow a friend's card. Andrea Woroch is a nationally-recognized consumer and money-saving expert for Kinoli Inc. She is available for in-studio, satellite or skype interviews and to write guest posts or articles. To view recent interviews or for more savings tips visit AndreaWoroch.com. 2 Responses to How to Have a Fat Tuesday Mardi Gras Party on an Ash Wednesday Budget! Thanks so much for the great idea! I love the party in New Orleans. It is so fun to watch the characters etc. You have many great ideas in this post. Thanks for all. Top 8 Tips for Spending Your Tax Refund Wisely ~ Make That Cash from Uncle Sam Go Far!